Out of Victoria, British Columbia, Canada, Ryan Evans has brought some summer energy to the table in the form of single “All Over Daytona.” Evans separates himself from the pack with the song’s charm, a strong technical and evocative performance, and production that blends rock edge with traditional elements. “All Over Daytona” perfects a formula that others sometimes fail to achieve – it takes the energy and feel-good tone of other summer anthems, but enriches them with a sense of storyline and purpose. Where contemporaries lock in on a woman’s body as the foundation on which to build a record, “All Over Daytona” focuses on an experience. While thematically it hardly breaks new ground, it does serve as a strong lyrical alternative to much of what dominates country radio during the summer months. Production-wise, the prominent banjo blends nicely with the strong guitar base, while providing an edge without dominating the record. “All Over Daytona” soars melodically, and provides a nice build-up to a hooky chorus. The performance, meanwhile, is exceptional in a technical fashion and projects authenticity. 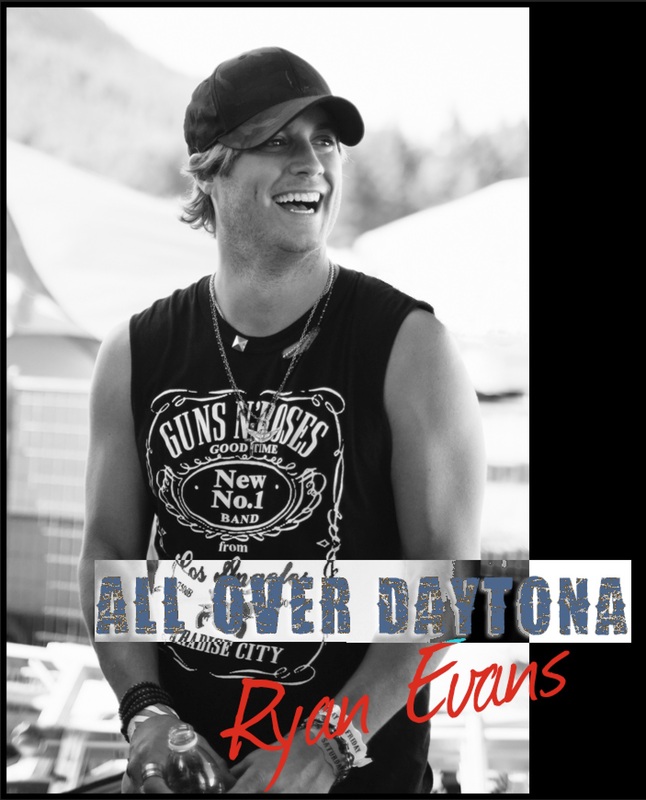 On a whole, “All Over Daytona” is a well-done and well-performed record that finds itself a tier above much of the run-of-the-mill radio fare, and establishes Evans as a talent well worth keeping an eye on. Such a great upbeat song. Love it.